If you have a toddler or a preschooler it is likely there will be challenging moments in your household. You’re not alone we all have them. 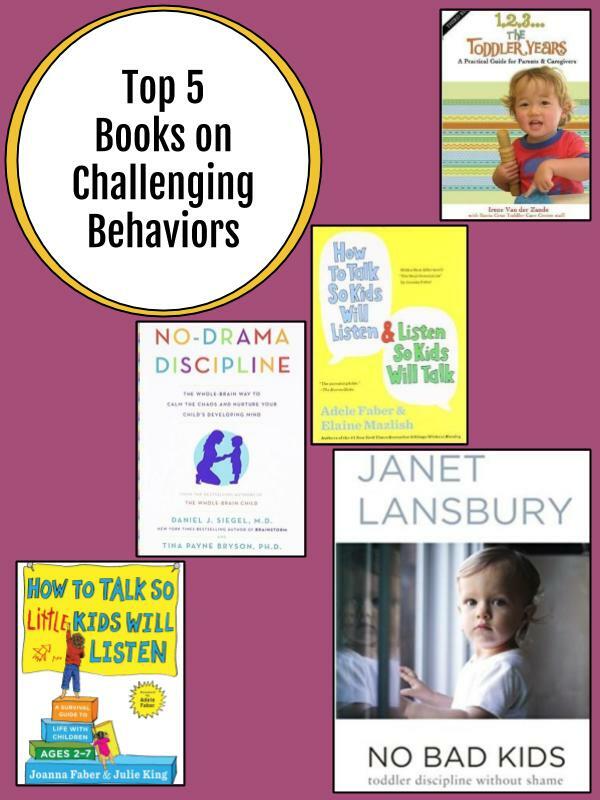 There are a slue of books out there that claim to be the key to helping parents change children’s challenging behaviors. I have some sad news, they won’t. These resources instead help parents look under the behavior at the underlying unmet need and adjust their thinking and language. Like all of our resources these books are not just behavior books focused on compliance but focused on growing respectful and cooperative relationships with children. is quite dated and maintains it’s status at the top of our book lists. “How to Talk” invites parents to reflect on their child’s perspectives and needs and how they might adjust their language to solicit cooperation. Written by the children of the “How to Talk” original the new little kids addition has more of a modern feel with more solid brain research to back all the principles that the original shared. The stories really help parents see possibilities to addressing challenges respectfully. is a RIE book that draws the reader to take the perspective of the child so that challenging situations can be framed and coached more effectively. This is a great reminder for all caregivers that seeing a behavior or child as bad is really missing an opportunity to connect, eroding our relationship, and amplifying our challenges. is a great resource for parents who just wonder what’s going on in the brain of their child during those challenging moments. Siegel uses brain research to help families wire their child’s brain for cooperation, good decision making, and healthy relationships. a collaboration of a RIE early childhood program is easy to reference and offers an easy to reference resource for common challenges of young children.